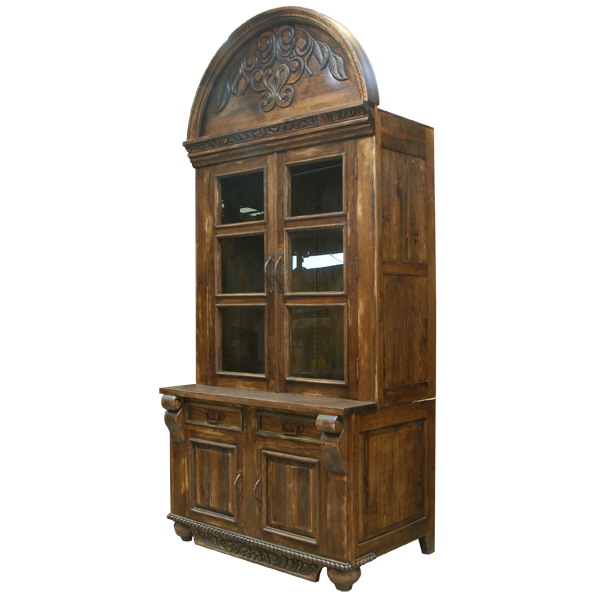 This marvelous, handcrafted buffet has a magnificent, semi-circular, arched crest, and embellishing the crest are gorgeous, hand carved, floral and scroll designs. The base of the crest has a staggered molding, and above the molding are additional, hand carved, floral designs. The front of the buffet features two, large, rectangular, framed doors, and each door is adorned with three, vertical, geometric panels. Each panel is covered with beveled glass, and on the side of each door is a hand forged, iron handle. The buffet is divided in two parts, and the upper and the lower sections are separated by a solid wood molding. Below the molding are two, small, rectangular drawers, each with a hand forged, iron handle in its center. Below the drawers are two, square cut doors, and each door has a hand forged, iron handle on its side. 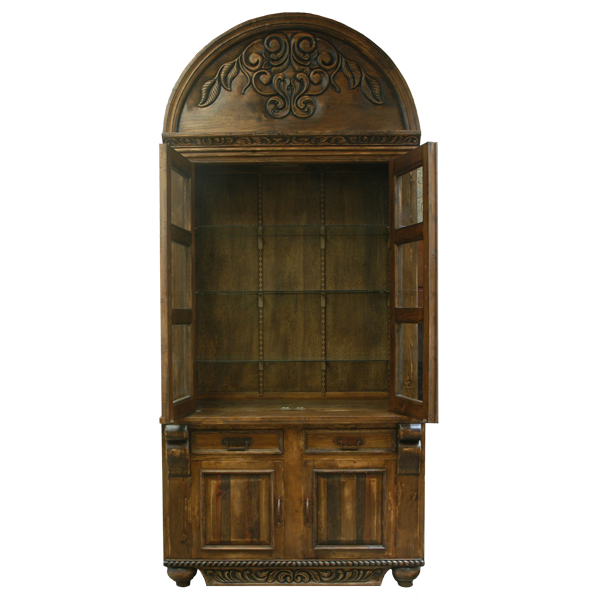 The lower buffet has scroll uprights on its sides, and below the doors is an ornate, hand carved, twist rope design. The lower base has a straight apron with curved ends, and the apron is embellished with lovely, hand carved, floral designs. On the lateral sides of the buffet are rectangular cut panels, and the buffet rest on hand turned, taped feet. The inside, upper section of the buffet has three, glass shelves, and inside the lower doors is shelving. 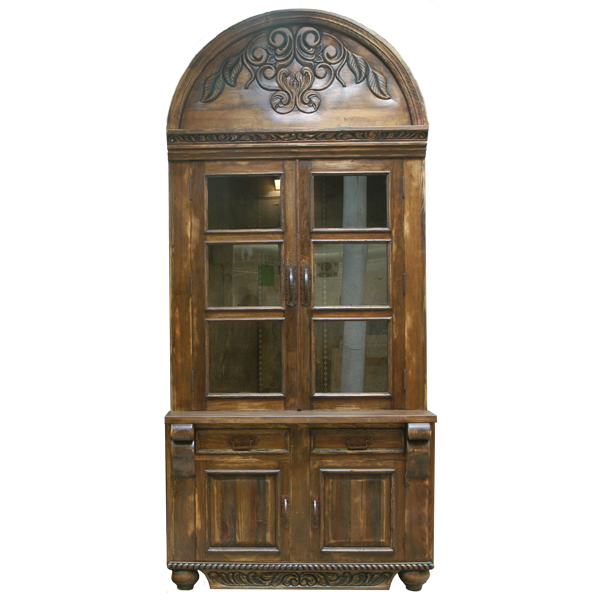 It has an antique finish, and it is made with the best, sustainable, solid wood available. The buffet is 100% customizable.